Well the week passed quickly again. Some reading, some quilting, some thinking I'll clean the windows and then when I have accomplished that I can go order new curtains. Clean the windows first! I also did a throw out for some of the books from my TBR shelf that I know I just won't read as my tastes have changed. So into a box to later go to a book fair for October. And that made space to pick up books I will read off the floor and place them on to a shelf. I also attended an opening for a new school, or my old school relocating to new buildings and premises. They had lovely weather for it and all went off well. I loved meeting up with past students who were now looking all very grown up and had returned for the opening by kind auspices of their high school. I went to my nephew's wedding on Saturday which took place beside a local river mouth and as the weather again was very accommodating that went off really well too. On Sunday we chopped down about two thirds of my lemon tree that had become overgrown, a spiky thing it is too. However I did insist we go walk on the beach as it was such a lovely day, and many others had the same idea, making the best of the last of the summer weather. 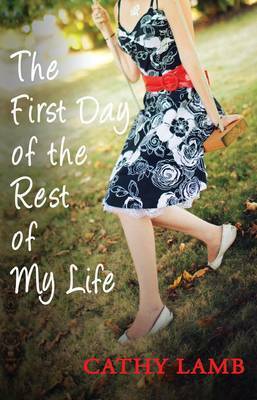 Review book - an okay read, not her best I thought. Review book for April. Suffice to say here I liked it very much. Just finished today from my recently bought shelf a Cathy Lamb book. I love her books but this one was real dark. What can be darker than child sexual abuse. I hated reading it, I loved reading it. I am distraught and you can see from what I picked up next to read I really needed something light and fun. Still listening to Etched in Bone. Gone off the boil with audio listening, got distracted by podcasts, but must get back to the book! I have great expectations for this review book as I loved her last year's book. After that I'll pick something from my TBR, not quite sure what yet. Jill Shalvis is the perfect book to pick up when you need a lighter read. Oh, I love the feeling of clearing out shelves and finding places for new books. The wedding sounds lovely...not long until I'm at the beach wedding! I can't wait to read The Night the Lights Went Out...and I have added the Cathy Lamb book to my list. Sounds like you had a busy but nice week. Jill Shalvis is perfect for lighthearted reading. I like to read a light book after something more heavy hitting too. You had an eventful week! Congrats to your nephew on his wedding. I also cleaned out my bookshelves. I have 4 bags full to give away. I too have a hard time reading books about sexual abuse or child abuse. Enjoy your reading week! I'm happy to see this weekly meme is still going strong. We have a spiky lemon tree too. Funny how they get that way. I'm joining up in the fun again and I'm hoping you'll stop by to my new domain. It appears you had a very busy week and I am glad you enjoyed it all. Jill Shalvis is reliably light and fun so a good choice after a dark read. The cover on Her Mother's Secret is eye catching to me. I hope this is another good week for you. Happy Reading and quilting (and cleaning)! A busy and memorable week Kathryn! I'm glad both the wedding and the opening for the new school went well. 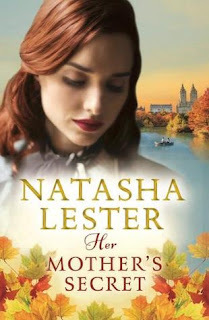 I have high hopes too for the new Natasha Lester book. I so loved A Kiss from Mr Fitzgerald. I haven't read Cathy Lamb before - it's hard when a book/author engenders a love/hate relationship while reading! I can see why you turned to a lighter read too. I often do this after reading a thriller or a non fiction book. Glad they gave you comfort. I just bought myself a copy of A Letter From Italy this morning so I will have a read of your timely review! Amanda @ Mrs B's Book Reviews. Oh, what fun that you were able to visit with some of your previous students and exciting about the new building; that sounds great! I'm also super jealous of your beach time; I hope you enjoyed it. I'm glad to hear that the Karen White novel was a good one for you; I love that cover! Thanks so much and I hope you have a great week, Kathryn! I can be a book hoarder, so we do a clean-out giveaway every year. Shalvis is one of my go-tos. I love her book, and find the new series delightful. I hope you like it too. Have a great week! Good for you for decluttering your bookshelves! I'm not that brave yet. I still have the (unrealistic) expectation that I will read everything that I own! I am making piles of books to donate/sell of the ones that I've read to make room for the ones that I haven't. Glad to hear you had a good week! We are under the weather here. My younger daughter & I have had the flu all weekend. Her fever has broken, but not mine yet. So, staying home from work today. Have a good week! The Karen White book looks so good. 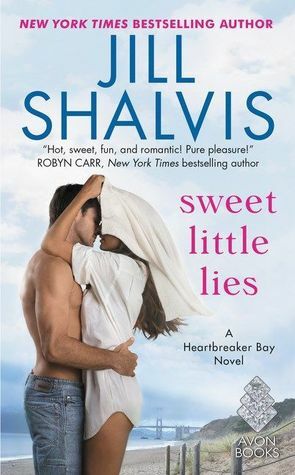 I read that Jill Shalvis and enjoyed it. She's always good. Looks like you picked a good one to follow such a dark book. I love Shalvis' books - so much fun. Have a great week - hope your nice weather holds through autumn! A wedding and a walk on the beach sounds like a great week. I did some window cleaning this weekend too. It was great because we got out in the garden and then this morning it's all grey again. Wow, sounds like a wonderful week there! Glad you are getting out to enjoy that lovely weather there. Today is the first day of spring here, but we still have snow on the ground! ugh. The outdoor wedding along a river sounds wonderful, too! Wow, you certainly have been busy this past week. Lots of fun events and things you've been doing. Books that contain abuse content I tend to avoid. 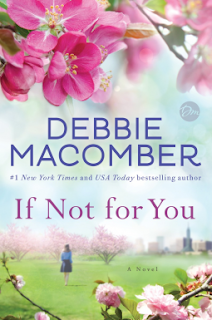 I don't read Debbie Macomber anymore; she's too tame for me. And yes, I need my music when I'm exercising. I can be a bit of a hood rat and need my hip hop. Usually old school freestyle gets me going for cardio or 90's dance music. I've been trying out SoundCloud as a friend was on it. His mixes are really old school B-boy. I made some recent playlists so I'll be set the next time I pound the pavement. Oo a lemon tree!! I have been wanting to get one, although I think mine will have to be indoor only due to my climate. Still, a lemon tree! 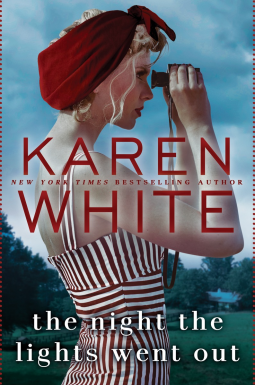 I want to read Karen White book, it sounds so good! Sounds like a great week for you. LOVE Karen White's books...I hope I get my copy soon. ENJOY the rest of this week. I'm so glad to hear you liked The Night the Lights Went Out. I think it's my favorite of Karen White's books. Of course, I feel that way about almost all of her's. lol I'm glad all your plans went off without a hitch. Enjoy your week, Kathryn! I desperately need to go through my physical TBR as I'm sure there are tons of books that I really don't want to read anymore but the task is so intimidating! I really want to read the Karen White. That cover just grabs me. Have a great week! That's a lot of interesting books you got there! I need to read more of Jill Shavis' books! Here’s my It's Monday! What Are You Reading? ! New curtains. That's exciting, but washing windows isn't. 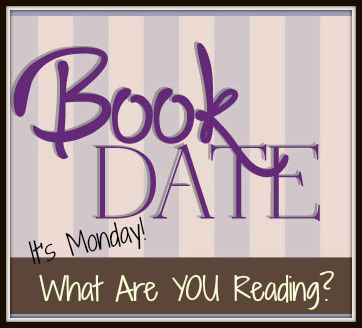 Your week sounded lovely with lots of reading too! Cleaning windows :( but new curtains are a nice motivator! Nice job getting some books cleared out. I need to do that, badly! Karen White's book looks awesome. Yay for the Shalvis! She's so fun. I'm reading a snow white retelling set in the Scottish highlands. Noms!